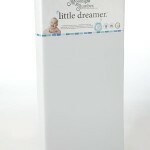 When it comes to infant mattresses, there is a lot of debate over which is best for a newborn. Some people feel that traditional springs are best while others enjoy foam more. However, the people who like foam filled mattresses worry about the chemicals that may be in them. That is why most new parents are so happy about the newest trend, soybean filled mattresses. If you are considering a soybean mattress though, you are most likely wondering if it is truly the right choice for your little one. In that case, the only way to know is to see what types are available and what others say about them. 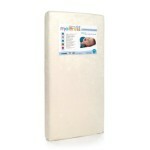 To help you out, here is the Sealy Soybean Foam-Core crib mattress review. This mattress is one of the lightest on the market at only 8.3 pounds, but it still provides an extra-firm area for infants to sleep so that you can rest easy knowing they are safe. The fact that it is lightweight will make it easier for you to move around, change the sheets, or flip. It has a pearl embossed waterproof and stain resistant cover so that cleaning is easy for you to handle. It will never get stained from spit up or other types of accidents that your child may have and because it is waterproof, you will never smell spit up or leaky diapers. Even the seams are protected against wetness and stains. You simply have to wipe the mattress down with mild soap and water. This is also nice because it will prevent allergens from clinging to the mattress. 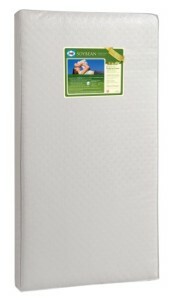 This mattress has been GreenGuard Gold certified to provide a healthier indoor environment. 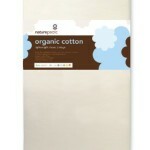 This means that even when you first take it out of the packaging you should not ever notice an odor. 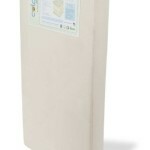 Instead of chemicals, this foam mattress is created using soybean oils that are naturally provided by American farmers. This mattress has earned the title of America’s Best for Baby according to the Women’s Choice Awards in 2013 and 2014. This should prove to you that it is definitely approved of by Mom’s. The fact that this crib mattress is made with a soy based high-density foam means that you will not have to worry about it sagging. It increases durability, and provides a firm sleeping area for infants. 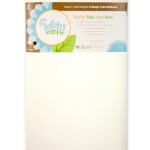 It is also usable as a Sealy toddler mattress when it is time to move your infant from the crib to a big kid bed. It has a weight limit of up to 60 pounds. This is also one of the few crib mattresses that have squared corners. It is a feature that ensures a snug fit inside of the crib with no chance of your little wiggler to find a place that they may get hurt in. It will fit tightly inside of a toddler bed as well. When you look at this mattress, you see only the surface area of it. If you could look inside, you would see that it has a total of five layers. There are the waterproof layers, a comfort wrap, the soybean core, and an airflow pocket. 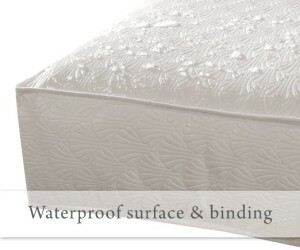 Since it is a Sealy mattress, you will get a lifetime warranty on workmanship and materials. If you feel that it does not meet or exceed your expectations, you will be able to get it repaired so that you never have to worry about perhaps wasting your money. As with all things there are good and bad reviews. With this crib mattress there are very few negative reviews, but out of about 370 total reviews, there are some who say that the mattress did not meet their expectations. Some parents say that the vinyl cover is not what they wanted and others claim that it is too soft or too hard. There are a few people who state that their mattress sags around the corners. A couple parents mention that on the mattress cover it states 27% cotton and 73% polyurethane foam. They feel this is misleading because it is a “soybean infused” mattress that does not state it contains soybean on the label. 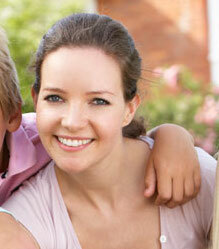 Most of these issues can be solved by taking advantage of the lifetime warranty and getting a replacement. The mattress states clearly that it has a waterproof cover, so if you want a cloth covering, you may want to look elsewhere. 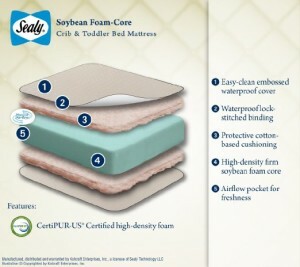 Is the Sealy Soybean Foam-Core Mattress Right For You? 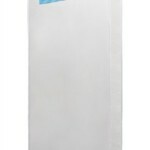 Overall, most people say that the Sealy crib mattress is a truly great thing for their child to sleep on. 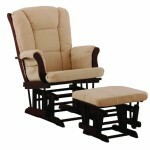 Most say it provides the firmness they want for an infant and the comfort necessary for toddlers. With that being said, yes, it is definitely usable and well worth considering.